Brushes & Bowls There are 13 products. Make sure you've got all the tools you'll need to create a professional looking dye job at home with the 3 Piece Dye Bowl & Brush Set! Put your hair dye ingredients together without having to guess how much to add. Check out the Hair Dye Mixing Bowl in Green. Put your hair dye ingredients together without having to guess how much to add. 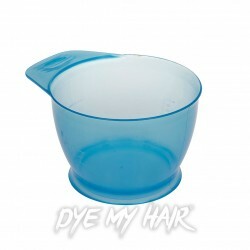 Check out the Hair Dye Mixing Bowl in Blue. Put your hair dye ingredients together without having to guess how much to add. Check out the Hair Dye Mixing Bowl in Grey. 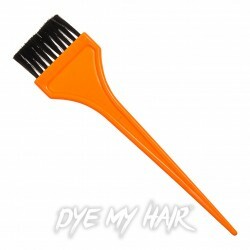 Get the right equipment when dyeing your hair with the Large Hair Dye Tint Brust in Orange. Make hair dye application a simple affair. Whether you're dying or bleaching, the Large Hair Dye Tint Brush in Pink is the key to perfecting your look. 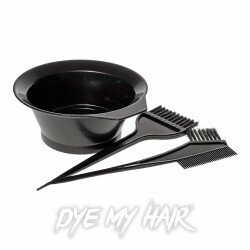 Make sure to kit yourself out ready for your new hair color transformation with our Hair Dye Mixing Bowl in Hot Pink. Prepare for your gorgeous hair colour transition with the Hair Dye Mixing Bowl in Orange. Get the Hair Dye Mixing Bowl in Yellow to perfect all your hair dye and bleaching needs! Fancy trying out a new hair colour? 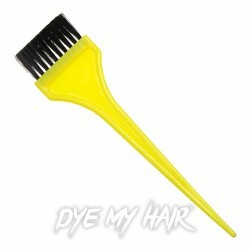 Then you are sure to need to stock up on the Large Hair Dye Tint Brush in Yellow for full and even coverage. The Large Hair Dye Tint Brush in Green is an essential part of your hair kit if you love to switch up your colour. Experiment with new styles and achieve a brand new tone. Make sure you have all the accessories you need before dyeing your hair with the Large Hair Dye Tint Brush in Blue. A tinting applicator is sure to help you achieve awesome results! If you’re dye-ing to become a home hair dye aficionado, you’re certainly going to need some hair dye brushes & bowls in your styling inventory. As well as a huge range of awesome hair dyes from bright neon pinks to crisp silver shades, here at Dye My Hair, we have all the dyeing tools you need to dye your hair at home. With our simple range of hair dye applicator brushes and color mixing bowls, you’ll be switching up your look in no time. Home hair coloring has never been easier! For applying the hair dye, you’re going to need to be well stocked with plenty of tint brushes. We have three different types of brushes to choose from including a standard tint brush, dual-sided tint brush and a miniature brush. The standard-sized brush is perfect for general dye application. Longer bristles and a wider brush suit wider coverage of the hair. The dual-sided hair dye brush has two different lengths of bristles. One side has a thicker brush which is good for general application and its thinner side helps with precision application and hard to reach places. Miniature brushes can help with extreme precision and can help to add thin streaks or muted tones to the hair. They’re perfect for quick root touch ups and hair maintenance. All of our brushes are affordable, reusable and must-haves in your hair dye kit. Save yourself regular trips to the salon when you achieve your new look at home – for less! However, in order to create unique styles and hair colors, you’ll have to make sure you pick up a mixing bowl! As well as being a palette for your unique hair dye creations, the bowl will be perfect for blending and experimenting with new colors. The bowls are an inexpensive way to make your new look happen. You’ll be surprised at what miracles can come out of the color mixing bowl! When you shop online with Dye My Hair you don’t only get the dyes, but we want you to have the complete hair dye kit so your fully prepared to get your new hairdo sorted. If you’re stuck for style inspiration, then we highly recommend checking out some of our Pinterest style boards. Full of ideas and styles, you’re sure to fall in love with one of our awesome styles. If you’re fed up of the endless trips to the hairdressers, you may want to start experimenting with home hair dye. These hair dye application brushes and handy hair dye bowls are certain to make these new looks possible. To make sure you are fully prepared for the home-dye procedure, why not have a look through our blog archives to find all the handy hints, tricks, tips and guides to getting the perfect hair dye style.